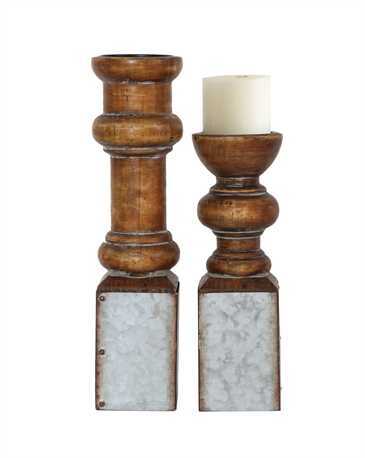 This attractive pillar candle holder is a unique combination of metal and wood. Measuring 15-3/4" in height, it will a hold a 3" diameter candle. Turned wood, metal covered bottom. Shown here with the matching 12" pillar holder; sold separately.